Life is funny. You wake up everyday and really never know what’s going to happen. But if you are open to whatever comes your way, life will often give you some sunshine on a day where hail was forecasted. Such was my day today. I woke up to a horrible forecast in Vancouver – cold, rain, chance of hail – AKA – No golf for you today, Golfgal! So I decided I’d see what was happening in what Mr. Business Golf calls “La La Land” – ie. the Internet. Long story / short: I connected on Facebook with Mike Brown, who had just read my post about Dave Andrews and the Duramed FUTURES Tour. Mike contacted me after I sent out a request for comments and opinions on a subject near and dear to my heart – the value of golf in a woman’s career. Mike and I chatted for a while and he shared a great story with me for my next Inside Golf article on Women in Golf and Business. And, of course, never one to look a gift horse in the mouth, when I learned that Mike is the father of Duramed FUTURES Tour player, Sara “No H” Brown, I asked him if he thought his daughter would be open for a quick interview. The next thing I knew I was on the phone with Sara who was in Florida getting ready for the opening DFT event. What a beautiful young woman – outside and in. No pretention…no airs…just a friendly golfer who loves the game and loves life. You can just hear it in voice. 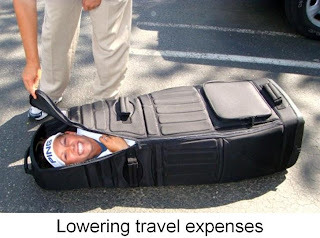 And Sara is not just another pretty face – she’s got some pretty innovative ideas on how to save travel costs on the Duramed FUTURES Tour. LOL! Sara is someone to watch this year. She joined the tour last June after graduating from Michigan State University. In only her second event on the DFT, Sara tied for 3rd! Now THAT doesn’t happen too often. And although Sara only played 11 out of 17 events last year, she ended up 22nd on the money list – very impressive. Sara has quite the resume at the ripe old age of 23 LOL!. Along with a bunch of awards and honors, she won 4 times in college and was named Michigan State University Female Athlete of the Year in 2007 and in 2008! Yes, Sara is a lovely young woman with talent and personality. Listen in as she shares with me how she started in golf, her advice for young women thinking of a golf career and what’s next for her this year. 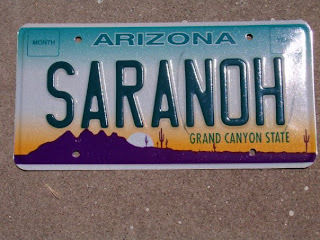 I also enjoyed reading what Sara’s dad did when Sara got fed up with people spelling her name with an H. He went out and bought her this perfect vanity plate for her car. Good job Mike! But the thing that I loved the most about listening to Sara today was what she said about her brother, Josh, when he caddied for her – she called him “a breath of fresh air on the golf course“. Wow! I had to listen to that part twice. Now, I’m running downstairs to make our “every bickering” 15 year old son and 13 year old daughter listen to that! Hey…maybe there is hope for our teenagers! Thanks Mike and Sara – you made my day! I’ve heard of Sara……she’s from Salpointe Catholic HS, where my son, Brian “with an i”, teaches AP World History and coaches basketball. Fellow teachers want to set them up……nice to read something about her!